These are fun, easy to make cookies that are just different enough to be interesting, without being odd. 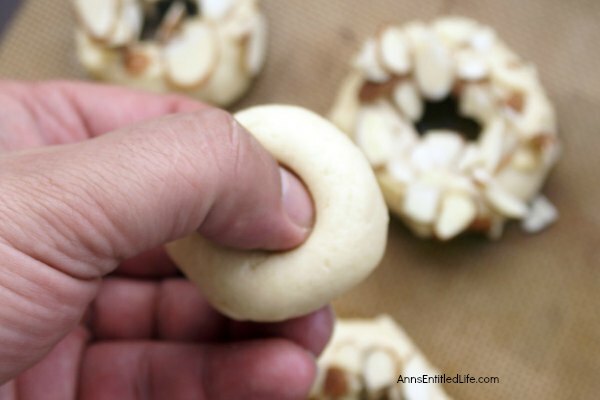 They are great for little hands that may have trouble grasping a larger cookie or dessert. They pack well in lunchboxes and are great for an after meal sweet, or with coffee for breakfast or a late night snack. • Preheat oven to 350º. 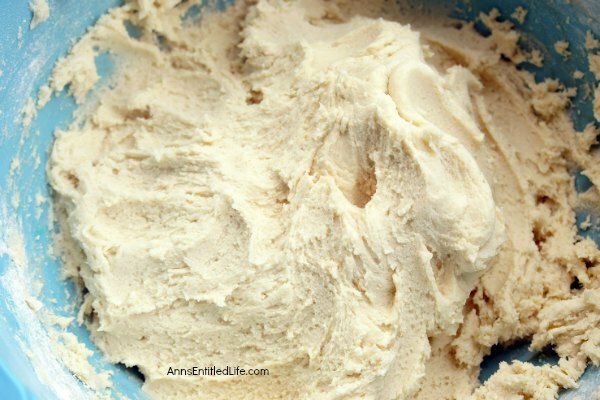 • Using a stand (or hand held) mixer, in a medium sized bowl, cream together sugar and butter (mix for approximately 5 minutes). 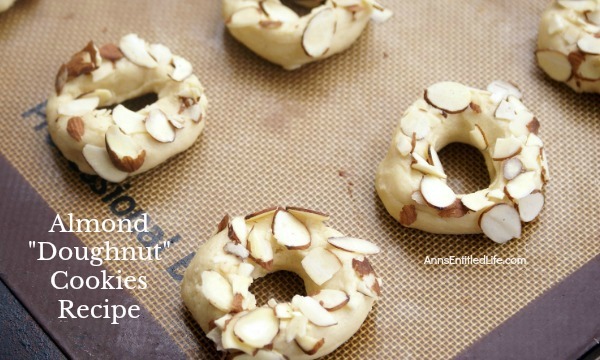 • Add eggs, almond extract, baking powder, and salt. Use the mixer on low for about 2 minutes and ingredients are mixed thoroughly. 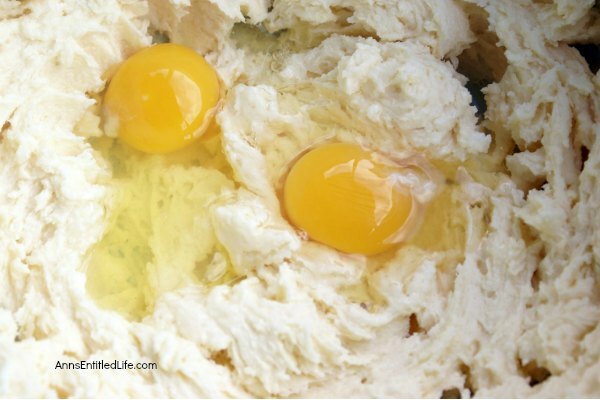 • Add in flour gradually until mixed together well. 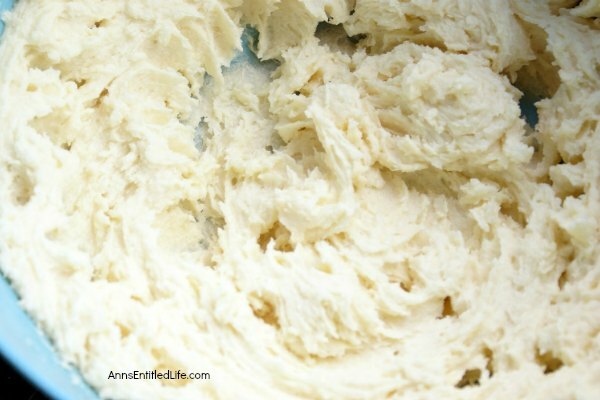 • Roll dough into approximately 1″ balls. • With your thumb and forefinger, press until they touch in the center of the ball and spread slightly to create doughnut shape. 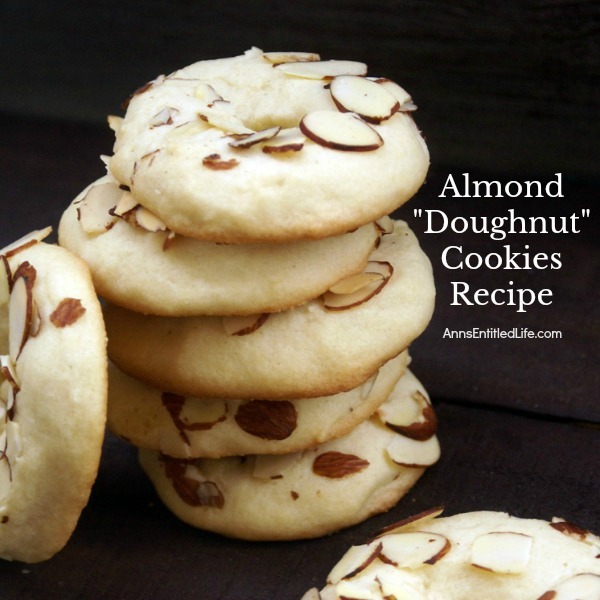 • Dip top portion of cookie dough into almonds and place on cookie sheet approximately 1″ apart from each other. • Bake for 11-12 minutes, or until lightly golden in color. Transfer to wire rack to cool. Makes approximately 3 1/2 dozen cookies. 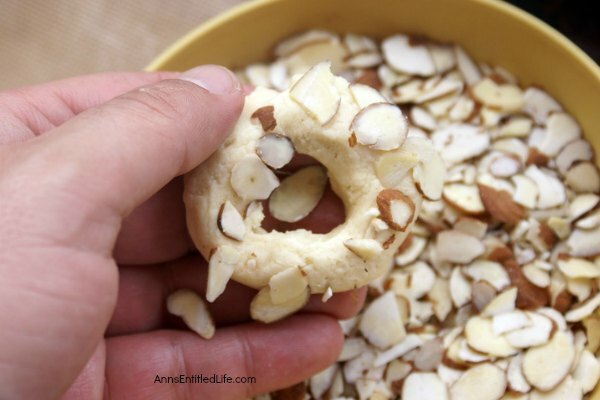 Fun, easy to make cookies in the shape of a doughnut! 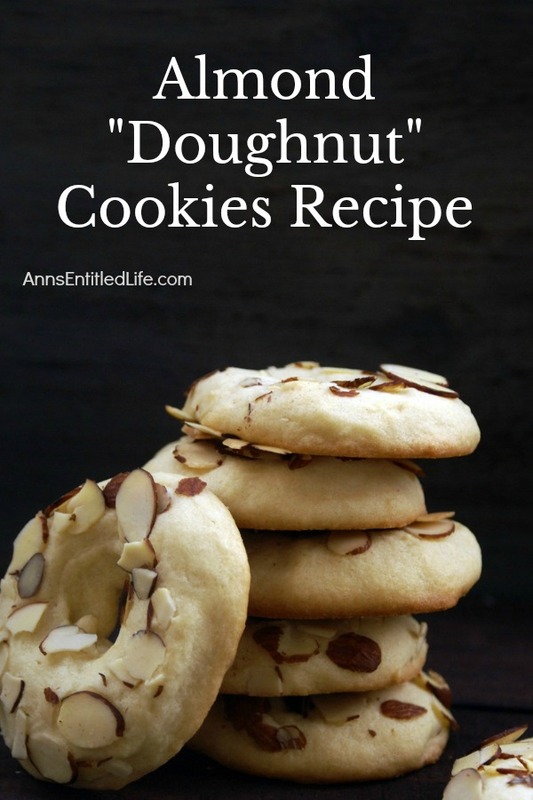 These cookies are wonderful for packing in the old lunchbox, dessert or a cookie exchange! 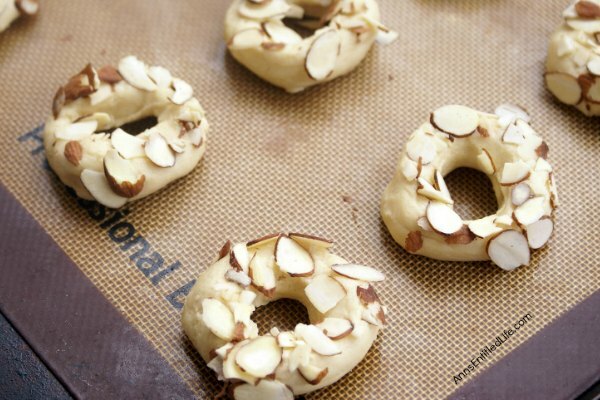 • To print the Almond “Doughnut” Cookies recipe click here.